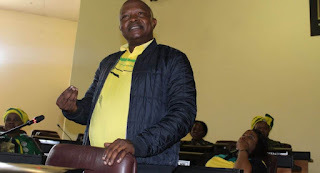 The Tshwane Shutdown has costed Deputy President David Mabuza to postpone his visit to Hammanskraal. Due to the ongoing protest in Pretoria, Deputy President David Mabuza was forced to put on halt his planned door to door visits in Hammanskraal. On Thursday morning, residents of Soshanguve and Hammanskraal took the streets to protests over inadequate service delivery. The streets were barricaded with rocks and tyres. The Tshwane Metro Police stepped in and tried to disperse the crowds but they were unsuccessful. The situation in PTA led to African National Congress postponing it's campaign which was going to be led by the Deputy president.